AC/DC is not just about music! It is also about current. AC and DC stand for alternating current and direct current, respectively. So what? DC means that the current moves in only one direction. AC means that the direction of current flow periodically changes. These two different approaches stem from the 1880 disagreement between Thomas Edison and Nikola Tesla known as the War of the Currents. Edison was a proponent of DC (since he developed it) while Tesla favored AC, building an induction motor around it. Batteries are DC. DC is great and was the early standard in the United States but had tremendous difficulty being converted to either higher or lower voltages, if so desired. The solution? Tesla’s AC, of course. AC changes the current direction a set number of times per second. The U.S. standard is 60 times per second, and lends itself to voltage change quite handily by using a transformer. The transformer allows very high voltage electricity to be transmitted across a system with very low loss and then stepped down to a usable 120V for home use. Ingenious and efficient, and impossible to do with DC at that time. Today, although the difficulties in changing DC to a higher or lower voltage have been solved, it is used mainly in batteries that run computers, phones, Blu-Ray players, scooters, and of course, motorcycles. The stability of DC gives it an edge compared to AC for powering all of those products. What happens when electricity and humans meet? How does electricity interface with your body? For starters, your body functions in many ways just like a battery! We do this on a cellular level as many parts of your body rely on transmission of electrical impulses for normal function. Your heart and your brain are two prime examples. But those electrical impulses are of low voltage and are vital for health. External voltage — not so much. The power of the electrical impulses generated by your heart or brain are small by comparison to what comes into your house, and what may be in your soon to be purchased electric motorcycle. Always disconnect your battery when working on anything electrical on your bike; it is just good common sense, like when changing a light fixture in your house. Kill the power before it kills you! Yes, it may be seem excessive, but it is safest to wrap the ends of the battery wires in electrical tape so that they cannot inadvertently touch the terminal at an inopportune moment. After all, that charge is the baby-sized version of being struck by lightning. The National Weather Service keeps track of lightning fatalities. Over a 10-year period (2008-2018), 236 men and 65 women were killed by lightning; we average about 51 lightning-related deaths per year. Florida leads as the state most likely to have lightning strikes (and you thought it was the Sunshine State). The southeastern United States has, on average, 64 lightning strikes per year per square kilometer. 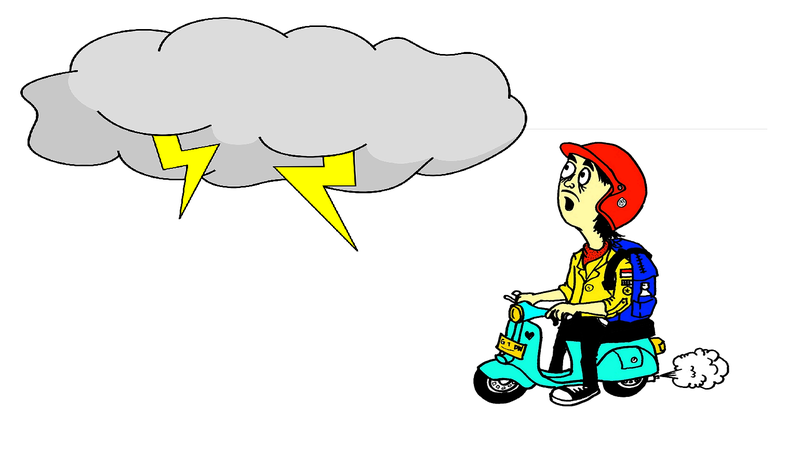 Lightning strikes are a much greater threat to motorcyclists than to people who are in cars and have some protection. Only 10 percent of those struck by lightning die as a direct result. But it gives rise to a different approach to those who are struck. When faced with people injured by lightning there may be those who are obviously injured but alive, and those who appear dead. With limited resources to initially help people, such as in a crisis or a disaster, triage guidance (who you help first, second, compared to not at all) would direct you away from the obviously dead people. The sole exception is after a lightning strike! The lightning’s electricity may stop that person’s heart but they may survive with rapid CPR, and of course, a countershock. Most people arrest after a lightning strike in ventricular fibrillation — a rhythm that responds to a countershock quite well. I know, they just got electrocuted, and now I am telling you that they need another electrical shock. Seems counterintuitive, but it works. This is a great use for an AED! More commonly, you might get electrified working in your home or even on your electric motorcycle (myth: rubber-soled shoes will insulate you when working with electricity; this is not true). Assuming you are not immediately killed, you need to know a few things. Regardless of where the electricity enters your body, it is also going to have an exit point. Along the way, the energy encounters tissues with different resistances. The more resistance, the more energy is lost to that tissue; that loss results in heat which can boil the water in your cells and coagulate tissue, including delicate nerves. Low voltage is less than, and high voltage is greater than, 1,000 volts; lightning strikes are super-high voltage in the range of one to two million volts! High-voltage injury typically creates a thermal burn at the entrance site as well as the exit point, injuring the tissue along the path it travels. Especially with high-voltage injury, the extent of internal tissue damage is not apparent by an external examination and is therefore, commonly underestimated. If you're being treated for a shock, we will also monitor your heart to ensure it is beating in a normal fashion. Injury may cause muscle swelling, leading to excess pressure you may have heard of as “compartment syndrome.” Sometimes blood vessels clot, nerves may be injured and create intense but unusual pain (burning sensations, electric jolts, pins-and-needles sensations), or nerves may die, leading to lack of sensation or problems controlling muscles. Those who have sustained significant electrical injury may have long-term issues to address, including contractures of fingers or other joints; 75 percent of those struck by lightning have some permanent neurologic damage. What is the appropriate immediate first aid? First, safely remove the person from the energy source. Second, every electrical injury should be evaluated in an Emergency Department. Yes. Every. Last. One. An abnormal heart rhythm may not be detectable without an ECG, and muscle damage or other internal organ injuries may not be immediately apparent. Early therapy always has a better outcome and provides a greater likelihood of returning to normal, if you really are injured. 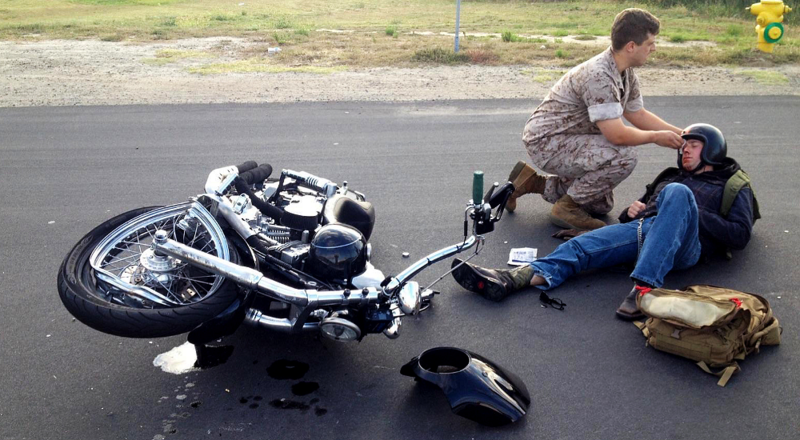 Unless your shock is limited to surprise at how fast that electric motorcycle is, your local trauma center stands ready to render aid — perhaps with a suitably shocking bill, as well.